It is the time of year when we need to think about textbooks and once again Campion Education will be the supplier. During November, boys in Forms I, II, III and IV will receive a copy of the order form listing the books required for each subject. Orders should then be made online by the date shown on the form. Payment must be made directly to Campion Education using their online ordering system. Textbooks will be dispatched to the delivery address during the holidays or may be purchased directly from the retail outlet in Artarmon. Campion’s contact details and office hours are listed on the form. Before finalising your order, you might like to visit the Women’s Association Second-Hand Book Sale on Wednesday 5 December in the Edmund Barton Room, but there is no guarantee that all texts will be available. A Community Awareness Programme is undertaken each year by Form V boys where specific outings are organised during Tutorial times. House groups visit facilities in Darlinghurst, Woolloomooloo and Surry Hills such as William Booth House, Rough Edges, Hope Street and Twenty 10 to increase their understanding of local, social issues. This year the School will once again support Barnardos Australia for our Christmas collection. This will involve boys purchasing small gifts for children around their own age. The gifts will be assembled and donated to the Barnardos “Gifts for Kids” Christmas programme before the end of Term. The gifts will be distributed to children who might otherwise go without. The collection will be organised through Tutorials and your support of this worthwhile activity is very much appreciated. Mufti Day this term will take place on Tuesday 13 November (B Day). Boys will be reminded that standard mufti rules apply. The convention is that a boy on Mufti Day donates a “gold” coin through his Tutorial to the Prefects’ Charity. This year the Prefects are supporting AIME, the Australian Indigenous Mentoring Experience, a charity which works to improve educational outcomes for indigenous youths. A reminder that all hike permission forms for the Duke of Edinburgh's Award Adventurous Journeys (to be undertaken in the coming December/January holidays) are due by Wednesday 14 November. Any forms received after that date run the risk of not being processed in time and hence, the hike not being counted towards a boy’s award. All qualifying expeditions must be undertaken with direct supervision under the management of the *Collaroy Centre, Camp Somerset, The Outdoor Education Group, Southbound Adventures or NSW Sport and Recreation. Parents should book and pay for hikes directly with one of the providers listed above and then complete the Sydney Grammar School hike permission form and submit this to me by the due date. *Please note: A briefing session is compulsory for all Bronze level participants or anyone doing their first hike with Collaroy, no matter what level. The next one is Wednesday 5 December at 7:00pm (please note this is the last day of formal lessons in Term IV). Please refer to the School website under ‘Other Club’s and Activities’/Duke of Edinburgh for further information or boys can see me in my office, opposite WM3. The hike permission form is also available on the School website (please download the current form). All boys who completed hikes in 2018 should ensure that they have entered the details into their online record books and that they have completed their hike reports and submitted them to the assessors (as per instructions in my email to parents) to ensure a smooth sign off. For each of the other areas, Volunteering, Skills and Physical, boys should set up the correct assessor in each category. They should NOT nominate me as the assessor unless it is for School Orchestra. For school sport, Mr Alan Campbell is the assessor. Please download the following document about the ‘Duke of Edinburgh's Scheme at Sydney Grammar’ (click here) to obtain other assessors. All participants should aim to have their records up to date and boys currently in Form V going into Form VI should look carefully at their completion plans to avoid panic at the end of Term III next year when they are trying to get their records signed off by their assessors and me. Please note that it will not be possible for me to sign off anyone during the holidays. If a boy has already completed his level, or sections within a level, he should see me well before the end of this term or it will have to wait until the first week back in 2019. A reminder that the Sydney Grammar School Form IV Camp consent form needs to be returned via Adobe Sign. If any Form IV family has not received the email with the camp information and Sydney Grammar School consent form, please contact Dr Zoran Ilic. The Camp Somerset online registration and medical information is due to be completed/submitted to Camp Somerset by Monday 12 November. Information will be sent via email to parents soon regarding other end of term activities that have been organised for boys in Form IV. These activities commence on Monday 26 November and include interview skills workshops, mental health awareness activities, a first aid course and concluding with a three day Camp from Monday 3 to Wednesday 5 December at Camp Somerset. Boys who would like to start instrumental lessons in Term I next year can collect the application form from the Music Secretary or download one from the School website. Forms should be returned by Friday 23 November. All boys who have been learning musical instruments this year will be presumed to be continuing next year, unless their parents send a cancellation email to Mr Bob Wagner rjw@sydgram.nsw.edu.au by Friday 30th November. Cancellations received after that date will apply from the end of Term I 2019. This concert will be held on Friday 16 November at 6.30pm in the Alastair Mackerras Theatre and will feature groups such as the Concertante, Clarinet Choir, Saxophony, Bassoon Ensemble, Sheldon Strings, Flute Choir, Tuba Ensemble, Tommy Emmanuel Guitar Ensemble, Percussion Ensemble 3, Junior Wind Quintet, Senior Brass, Brass Ensemble and the Chamber Music Group. 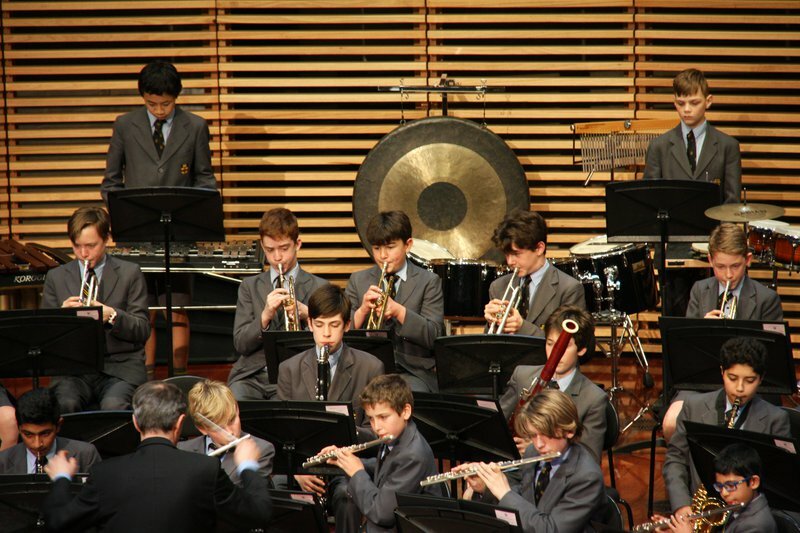 These ensembles will showcase many of the School’s musicians in a varied programme of works. The duration is approximately 75 minutes and admission is free. Limited parking will be available on the Middle Playground. All of the School’s small jazz ensembles will perform in this concert held on Monday 19 November at 6.30pm in the Palladium Theatre. In addition to the Form I-V Jazz Combos, this will include the Electric Guitar Ensemble. This free concert is roughly one hour in duration without interval. On Thursday 22 November at 6.30pm many of the School’s large ensembles will be performing in the John Vallance Hall. This concert will include the School Orchestra, School Choir, Alastair Mackerras Chamber Orchestra, Zephyr Winds, Concert Band, Percussion Ensemble 2, Cantorum, Grammarphones and Croonivores. The concert is approximately two hours long, including a short interval. The playground will be open for parking from 6.00pm. Refreshments may be purchased in the Foyer of the John Vallance Hall before the concert and during interval. A donation on entry is appreciated and will go to the Music Association, the parent body of the Music Department. Funds raised are used to help the Music Department purchase instruments, support concert tours and provide scholarships and prizes for boys. The Music Association Annual General Meeting will be held on Thursday 22 November at 5.30pm in the Green Room (on Level 0 on the left hand side before entering the John Vallance Hall from Yurong Street). All Music Association members are welcome to attend. A separate notice of the meeting has been emailed out. 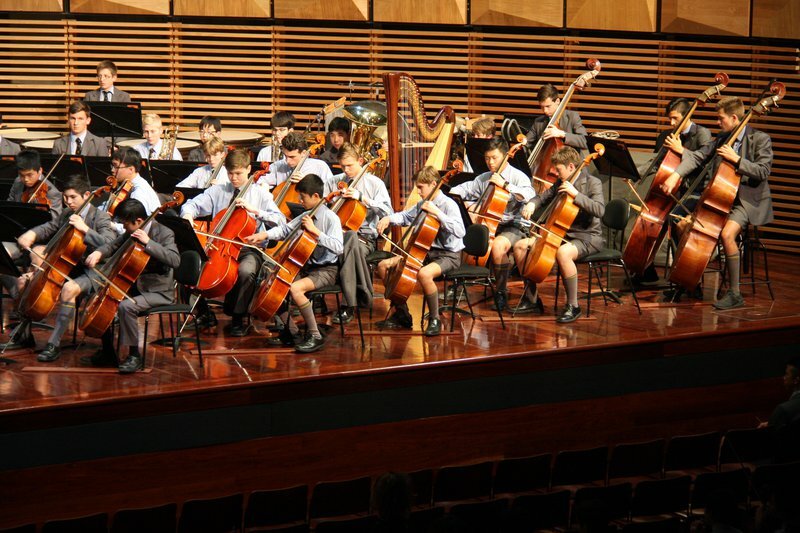 Sydney Grammar School is excited to host the 21st Australian Combined School Music Festival (ACSMF) in 2019. This is a call out to all Sydney Grammar School families who would like to and are able to billet students attending this festival. Over 300 ACSMF students from over eight high schools around Australia will need to be accommodated during the festival which will be held from Wednesday 26 June to Saturday 29 June 2019. Billeting is a rewarding experience for all Sydney Grammar School families and boys as those who have previously been billeted can attest. Rain disrupted our preparation for the upcoming cricket season with five out of the six pre-season matches being cancelled as a result. An international friendly match against Otago Boys High School went ahead as well as some rescheduled indoor practice sessions leading into our trial matches against The Shore School and St Joseph’s College. Sydney Grammar School First XI: Callum Brown (Captain), William Tudehope (Vice-Captain), Oliver Brown, Tom Bell Bird, Aayra Bhatia, Max Glen, Ethan Kooner, David Matthews, Steven Parras, Will Rogers and Jackson Watson. Sydney Grammar School Second XI: Sachin Markus, Archie Carl, James Deakin-Bell, Alexander Ekstein, Noah Edwards, Saahil Nanda, Henry Pike, Akshay Prasan, Madhav Rastogi, Ned Swaney, Milan Swaraj and Daniel Toomey. Following a recent net trial at the Sydney Cricket Ground indoor centre, two Form III boys, Archie Carl and Vivek Reddy, have been invited to play in an upcoming trial match in order to determine an under 15 representative team. 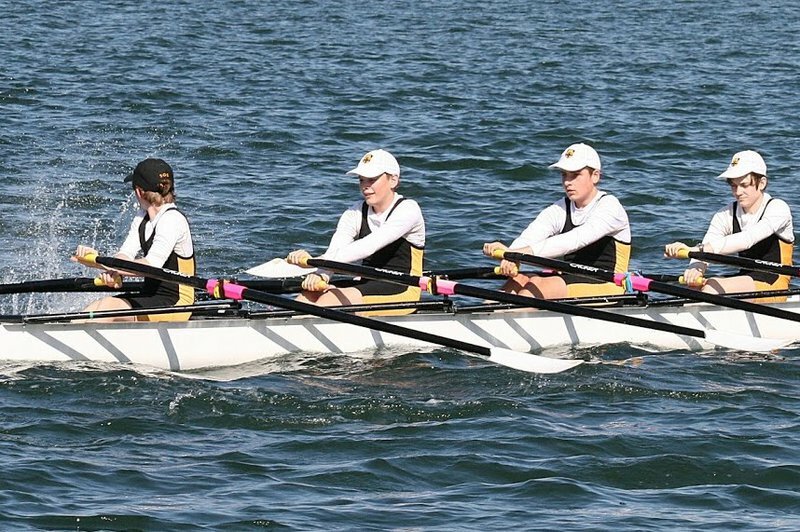 On Saturday 10 November, Sydney Grammar School will host the first GPS regatta of the 2019 season at SIRC. 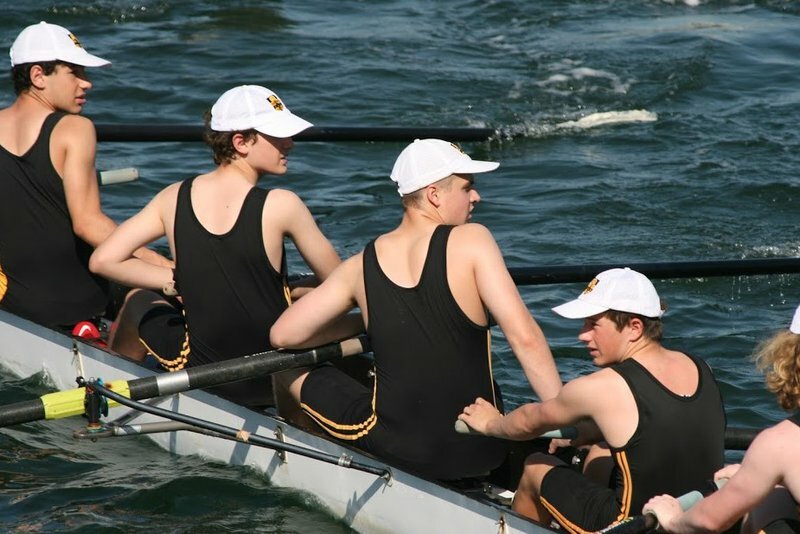 All Grammar rowers will be involved on the day either competing or assisting in the organisation of the regatta. Further information regarding travel and the program of races will be uploaded to the Boat Club website by Wednesday 7 November. Absenteeism from sport due to sickness or injury increases dramatically during the examination period. The School reduces the number of training sessions during this time but we are committed to our Saturday fixtures against other schools. It is very upsetting for parents of boys (as well as the boys and their coaches) from other schools that have to transport their sons across Sydney, if some of our players do not turn up. Boys must meet their commitments to their team both at training and on Saturday. Please ensure that any absence from Saturday sport is notified to the appropriate Master-in-Charge of that sport in advance as well as note from you explaining your son's absence on his return to School. If your son’s absence is due to illness or injury suffered outside School, a medical certificate stating when he can return to sport is also required. 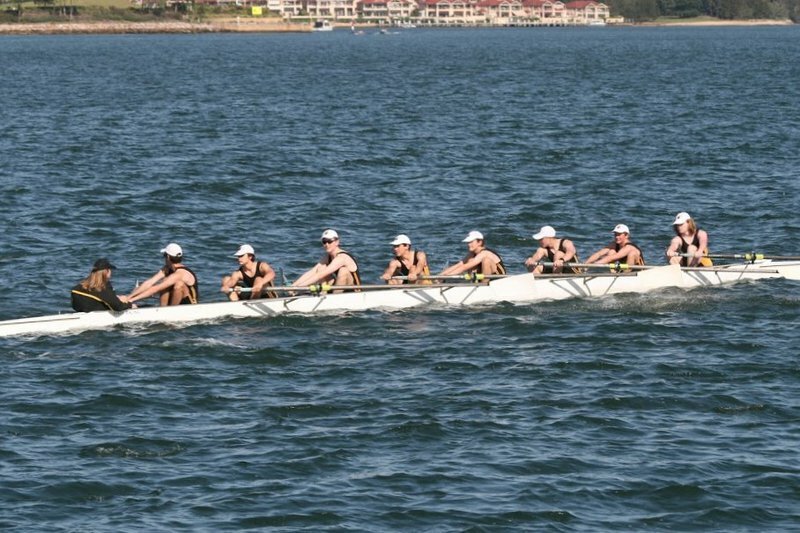 At the annual Boatshed Open Day held on Saturday 4 November, a small cross breeze which rose up just at the commencement of the row past the shed did not dampen the spirit felt within the Grammar rowing community nor more importantly within the crews battling the choppy Parramatta River. 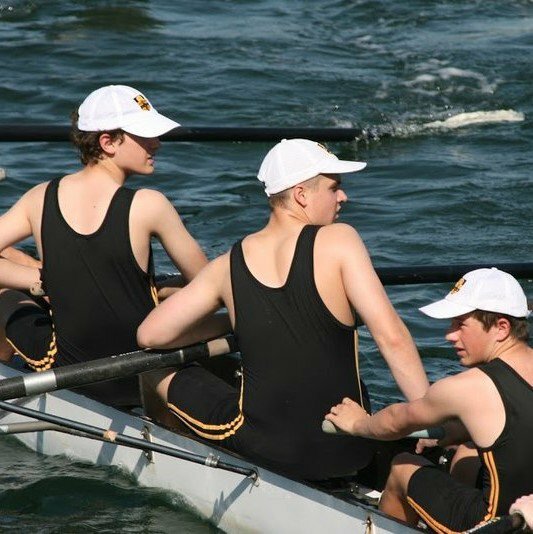 Mr Tong, Senior Rowing Master, welcomed all parents and after a short message from the Headmaster, Dr Malpass, Mr Tong announced the crews for the upcoming season which begins with the Grammar Regatta at SIRC on Saturday 10 November. The Parents & Friends of the Boatshed Committee led by their President Mr James MacNamara deserve special praise for their work on the day. Tropfest and Trop Junior are coming back in February 2019 and Australia's largest short film festival is calling all filmmakers under 16 years for their Trop Junior competition. The Tropfest Signature Item (TSI) to be included in Trop Junior films is PIZZA and for filmmakers over 15 years, the TSI is CANDLE. Make a seven minute (or less!) short film featuring the TSI somewhere and enter it into Trop Junior, a showcase of cinematic stories that features alongside Tropfest. Young filmmakers should submit their ‘pizza d'resistance’ film by the entry deadline, for a chance to be a Trop Junior 2019 or Tropfest Finalist and have their film screened to a huge live audience on Saturday 9 February 2019. Details on how to enter are on the website at www.tropfest.org.au and entries close at midnight on Friday 4 January 2019. NSW Health will offer vaccinations to boys in Form I at the School. Vaccinations will be held on Thursday 15 November. Form II - HPV Dose 2 to those who did not complete the course in 2017. Form IV and V - Meningococcal ACWY -1 dose, for those that did not receive the vaccine at the last visit. Only boys whose parents have given consent will receive vaccinations. You are welcome to contact the Health Centre on 9332 5828 if you have any concerns. Parents are needed to help in the Weigall Canteen between 8:30am - 2:30pm. The SGSWA run the canteen at Weigall for the boys on House Sports Day. It is a fun day for the boys and a great opportunity for mums, dads and guardians to help out in the Canteen and watch the games. We would love your support in the Canteen - come in and help out for as long or short a time as you have available, or bring some baked goods along to sell (they don't have to be home baked!). Please sign up, click here. Last term we conducted a survey to capture feedback and suggestions on how we can better service the parent community. We received 280 submissions! Overall, the comments were overwhelmingly positive. An executive summary of the results will be made available in the coming weeks. The Secondhand Book Sale is held in the Edmond Barton Room (EBR). Book collection: Monday 3 December and Tuesday 4 December. Books will be collected in EBR. Form VI boys wishing to sell their old text books should bring them to Jenny Booth in the Sports Office at the end of their HSC examinations. Please ensure you provide a contact name, Tutor's name, contact phone number and bank details: BSB and Account Number for proceeds to be credited to you when they are sold. Please note that only current books for 2019 will be placed in the book sale. Form III, IV and V boys going on the Cadets Promotions Course and Form IV camp can drop off their old textbooks from 8am and at recess. They will need to complete forms available on the day with their bank details, BSB and Account number so payment can be made when books are sold. At lunch time they can purchase books for the following year. Eftpos and cash accepted. Volunteers: If you would like to volunteer to assist with the book sale, please email Jenny Booth at sgswa@sydgram.nsw.edu.au with your preferred day(s) and contact details. No need to RSVP, just turn up. The AGM was held on Thursday 1 November. This was the last meeting for the year and details of the Committee will be advised in the next newsletter. Please contact either sgsfa.president@gmail.com or Wendy Scotter at sgsfa@sydgram.nsw.edu.au if you have any questions about joining the SGSFA. We always welcome new members.